New Summer Collection. 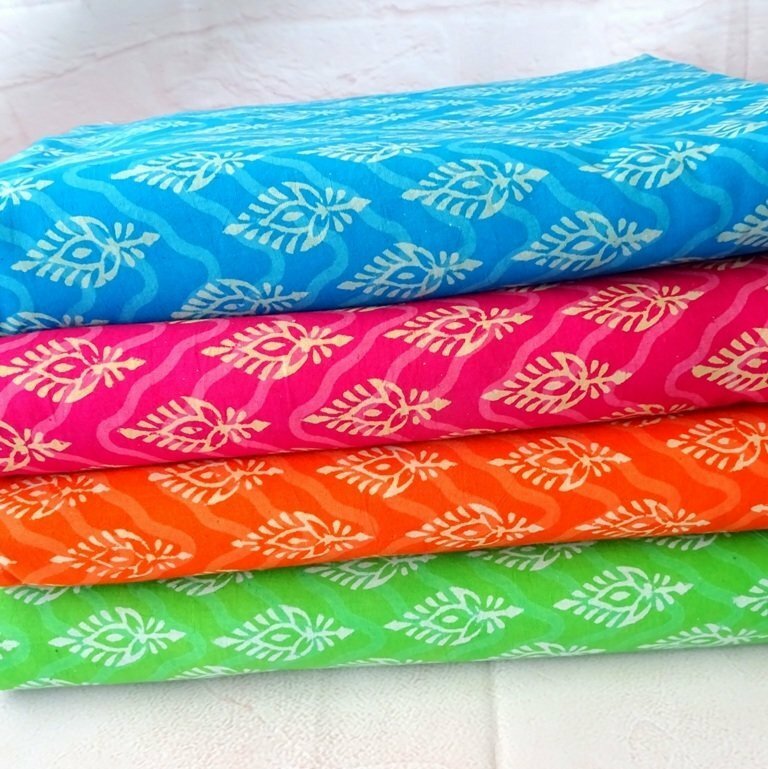 Block printed cotton available in 4 colors. Fine quality cotton perfect for summer dress and general sewing craft like bag, pouch, quilting, etc.